According to the American Chiropractic Association, around 31 million Americans suffer from lower back pain at any given time. Experts even estimated that about 80% of the population will experience back pain at some point in their lives. 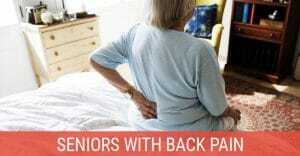 It is worth noting that people of all ages—from adolescents to the elderly—can have back pain. Across the globe, it is one of the leading causes of disability. It prevents people from engaging in their daily activities and work. Of course, one of the most common ways to alleviate back pain is by regularly taking medicine. However, there is a healthier alternative to this solution. For people who are suffering from chronic back pain, engaging in swimming exercises can help them get the lasting results they want. Swimming pools are an excellent gateway to successfully managing the symptoms of back pain. The great thing about exercising in the water is it significantly reduces the stress on joints. You will discover that you are able to perform more work in the water than on land. So, whether you regularly participate in back therapy programs or not, exercising in swimming pool enclosures can make a big difference in alleviating the pain. In a study conducted by Japanese researchers, the 35 participants suffering from lower back pain enlisted in an aquatic exercise program, which included walking and swimming in a pool. Six months into the program, almost all of the subjects showed improvements. 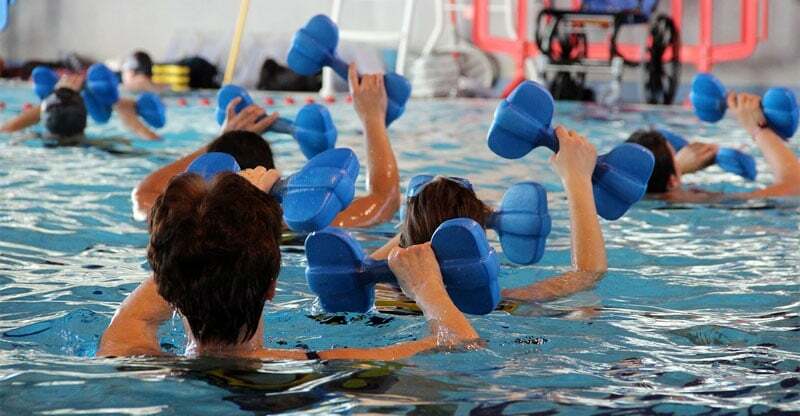 Moreover, those who engaged in aquatic exercises at least twice a week exhibited more significant results than those who participated only once a week. Indeed, there are plenty of reasons why swimming in outdoor pool enclosures can be beneficial for people suffering from back pain. However, there are still some factors you need to consider before jumping into the water. Make sure you read through this post so you can perform aquatic exercises effectively and safely. In an article published by the New York Times, USA Olympic Swimming team physician Dr. Scott Rodeo mentioned that not everyone suffering from back pain should perform swimming pool exercises immediately. He mentioned that there can be a number of possible causes behind back pain. So, the first thing anyone should do is get a careful assessment and diagnosis. Your doctor may recommend exercising under the supervision of a physical therapist. Moreover, you’ll probably start off with standing exercises that involve using balls and bands to strengthen your lower back muscles and your core. The great thing about swimming pool enclosures is they provide a venue for exercising without placing extra stress on the joints in your spine. Because you are buoyant in the water, you are essentially cancelling out the forces of gravity, reducing the impact of the activities on your joints. Needless to say, swimming is less stressful for your joints than other forms of exercise. After all, there is no axial loading from your body weight through your spine. It is also worth noting that when you get in the water, you are working a wide range of muscles, including those that you do not normally use. Keep in mind that your core, back, and leg muscles are crucial in improving spine stability. Moreover, keeping them healthy is essential in ensuring a better-functioning and stronger back. When you swim, you are getting various relevant muscles involved, depending on the stroke you are using. In contrast, when you are using an exercise machine, like a leg press, for instance, you are only working one group of muscles. On the other hand, swimming in an indoor or outdoor pool enclosure allows you to strengthen nearly all the major muscle groups. If you love swimming but find it a bit too much for your back, it is best that you try water therapy first. Also referred to as pool therapy, water therapy is an exercise program that is performed in warm waters. With this option, you can enjoy gentler resistance and the buoyancy of the water. It provides the same benefits as swimming since the activities are also executed in the water. As such, there is still minimal stress on the spine. Moreover, the water’s warmth can relax your tight muscles, enabling them to perform a range of motions during the exercise. Like other exercise programs, water therapy starts out with gentle activities. Over time, the exercises get progressively challenging. You have to know that one disadvantage with swimming is that many of the approaches and strokes create shear force across your lower back. 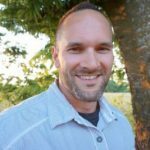 Because of the repetitive rotating in your hips and lower spine, there is some level of discomfort in the discs and other sensitive structures in your back. You can avoid lifting your head up for air when you use a mask and snorkel. Doing so will eliminate the need to arch your lower back when turning your head to take a breath. Ask for assistance from an athletic trainer or coach to perfect your stroke. You should be able to learn how to keep your shoulders in line with your hips when swimming to reduce stress on your lower back. 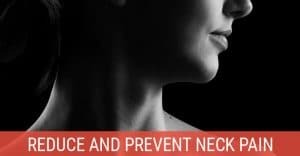 Keep in mind that the movement and position of various strokes will affect your back. For instance, breaststroke and butterfly will force you to arch your lower spine backwards. So, these movements will add stress to the facet joints in the back of your spinal column. Over time, additional stress can worsen the pain or cause other issues. While backstroke and freestyle won’t force you to arch your back, they have the risk of developing or worsening disc-related pain. 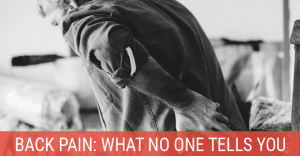 All things considered, there is no ultimate stroke for anyone suffering from back pain. Keep in mind that the type of stroke you perform should cater to the underlying cause of the pain, your workout capacity, and your swimming abilities. While aquatic exercises offer relaxation and health benefits, there are still real risks involved. So, before beginning a swimming or water therapy program, it is best that you get clearance from your doctor and physical therapist.